There are still many hidden charms to discover in Japan. There are possibilities for adventure in every corner of Japan, not just in Tokyo, and we want to show the value of these places to the world. Conveying good things to people and showing the flow of history as time marches forward. That is the business we are in. 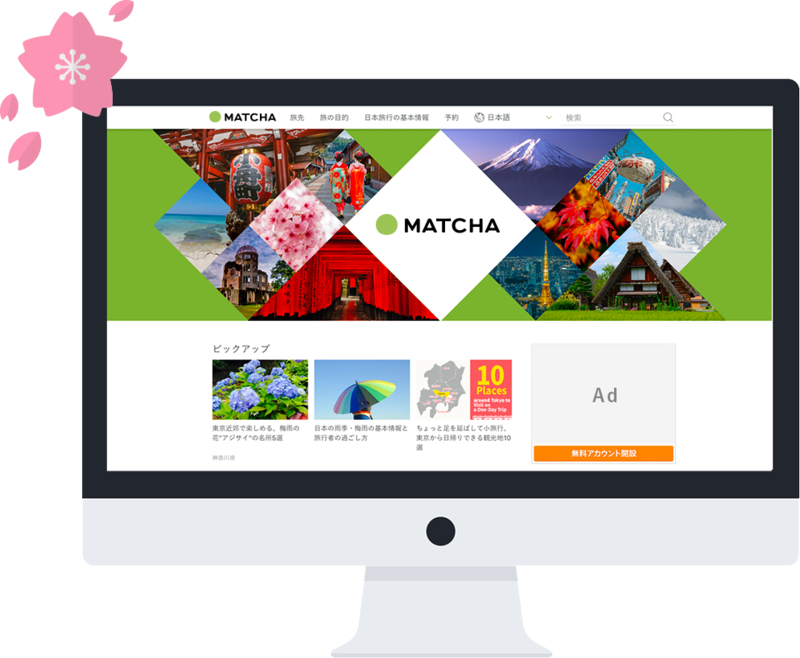 We manage Japan's largest tourist-focused media site, MATCHA. Although primarily focused on disseminating information via web media, we undertake a wide variety of roles, such as creating international web sites for Japanese clients, advertising operation, video production, non-Japanese reservation/proposal services on sites, among other functions. There isn't just one way to reach an international audience. We are always striving to find the next way to reach and dispatch our information around the world.